Reveal​ ​ your​ ​ sporty​ ​ look​ ​ with​ ​ a ​ ​ pair​ ​ of​ ​ Nike​ ​ eyewear​ ​ fit​ ​ for​ ​ any​ ​ athlete,​ ​ trainer,​ ​ or​ ​ professional. 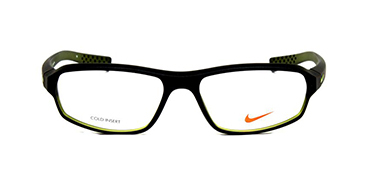 Nike​ ​ eyeglasses​ ​ specialize​ ​ in​ ​ enhancing​ ​ your​ ​ clarity​ ​ with​ ​ technology​ ​ and​ ​ originality. Just​ ​ do​ ​ it​ ​ with​ ​ Nike,​ ​ as​ ​ their​ ​ eyeglasses​ ​ showcase​ ​ the​ ​ Nike​ ​ logo​ ​ as​ ​ a ​ ​ statement​ ​ of​ ​ achievement. With​ ​ it’s​ ​ solid​ ​ colors,​ ​ to​ ​ the​ ​ unique​ ​ wind​ ​ resistant​ ​ frames​ ​ you​ ​ can’t​ ​ deny​ ​ wanting​ ​ a ​ ​ pair. 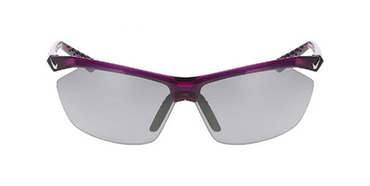 Nike​ ​ eyewear​ ​ gives​ ​ you​ ​ comfort,​ ​ durability,​ ​ and​ ​ boldness​ ​ to​ ​ conquer​ ​ any​ ​ game,​ ​ training.​ ​ or moment.